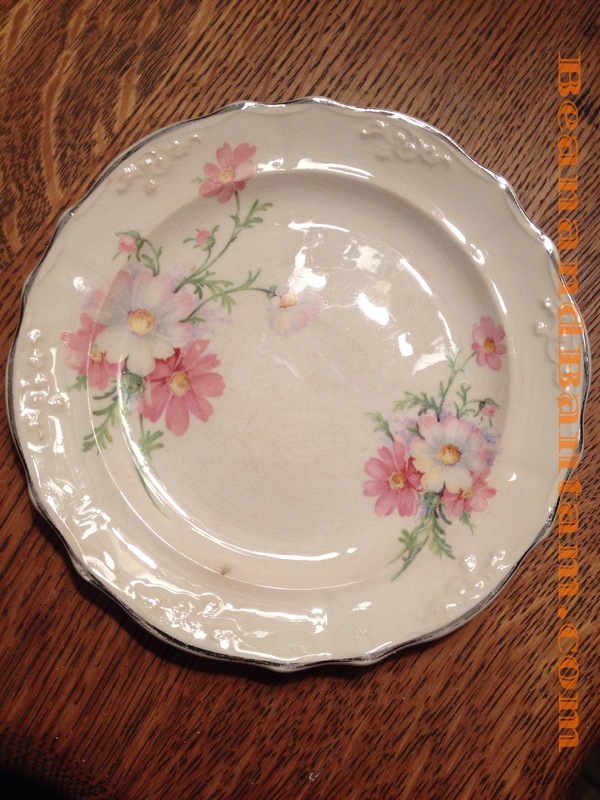 If anyone should come across more of these antique china plates with a cosmos flower pattern, I really have a hankering for owning some more, and also want to know more about them. No maker’s mark on the back at all, and the lovely cosmos flower pattern on the front. They are old–there is a crazing in the finish on the back. I think they are a creamy almost pinkish white. I have only two little “cookie plates” (I don’t know what these would be called, they are the size of tea saucers, but they are not saucers because they have no indentation for the cup). I thought one could now find just about everything on the internet, but Google has not turned up a similar image with several combinations of search (several leads that are not a match upon closer examination). On the gardening side of things, cosmos (Cosmos bipannatus) is one of my favorite garden flowers: tough, fast-growing to a nice tall height (without requiring any staking or support), and colorful. A big visual impact with very little effort.